Without seeing what the tripartite agreement has stated.....One can assume that it based on the internationally recognized principles of transboundary water resource management....the current major governance treaties of the Nile Basin concerning these three states are the 1929 and 1959 treaties....without considering the under negotiation Cooperation Framework Agreement CFA....these internationally recognizable treaties normally incorporate several internationally recognized transboundary water resources management principles ranging from the principle of equitable and reasonable utilization, an obligation not to cause significant harm, principle of cooperation, information exchange, notification, consultation and peaceful settlement of disputes, and moreover the newly adopted principle of benefit sharing instead of water sharing as per se. These principles generally are fundamental for establishing solid foundation and common ground to plan and promote a sustainable development which is mainly branched in social equity, economic viability, and environmental protection, on basin-wide dimension in our East Basin case. The Declaration of Principles on the Great Ethiopian Renaissance Dam is an important step which was supposed to be signed before the erection of the dam, not while the project is at its implementation of almost 50 %.....In any case, it is good that Egypt and Sudan came to the cooperation track under the international cooperation and development umbrella. 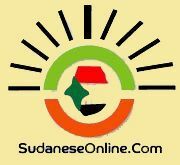 The right of the other Nile Basin states in sustainable development and fair exploitation of their resources remain as one of the major stakes for all without privilege, however, remain the dilemma on the will of Egypt and Sudan join the Cooperation Framework Agreement? This remain also an issue to be cleared and will appear readable once this declaration of principles is made public and embark the implementation stages. Let us bear in mind that there will be other 25 new dams to be erected along the Nile Basin. In particular, South Sudan as a newly born state within the Nile Basin has no any dam for hydropower generation, and it is in deadly and bad need to have such energy security....in addition to that the other Nile Basin states have also the due rights to its sustainable development and energy security which requires also major exploitation of the available resource of which the Nile River is essential. This declaration of principle on the GERD is said to contain mainly 10 basic principles which are common for most of the trans-boundary river basins.....and the challenge remain in the interpretation and quantification of the needs and the realistic deeds....now Egypt is justifying its vital need for more than the 55.5 BCM of water, as historic right, which is a complex issue, not fully sharable with the rest of the Nile Basin partners....that necessity is critical due to the demographic steady growth of Egypt. This demographic challenge is also the case of the rest of the Nile basin countries which are currently have population totaling more than 560 million inhabitant and projected to reach around 880 million in this century. Doubtless, this renaissance dam will boost the economic growth and energy security for Ethiopia and the region as it is claimed, and it will jeopardize the functioning of the currently erected dams along the path of the Nile, in addition to that, the socio-economic impacts of this huge infrastructural opera coupled with the expected environmental and ecological alteration will be of huge implications. Negative impacts and implications to be mitigated and adapted for and positive counter and outweighing impacts and implications which are to be harnessed and benefited from in a basin-wide vision. Worth to mention that the some people inhibiting the Blue Nile Region of Sudan have mentioned that they were held obscured and were not raised participant in these important negotiations which will have huge implications on their livelihood....and they have mentioned that they will have their say when it is appropriate. The lack participatory approach and non transparency are characterizing this declaration of principles. Once this declaration of principles is revealed to the public, all stakeholders are expected react and will come back to it for deep and detailed discussions and consensus building. Mohamed Yassin is a Sudanese and Italian PhD candidate in Economics, Ecology, Landscape and Territory at the Department of Civil Engineering & Architecture, University of Udine, Italy. He is conducting research works on the Nile Basin food wastage and security, urban waste, and resource management in the Nile Basin. He is reachable at this address. Dept. of Civil Eng. & Arch.